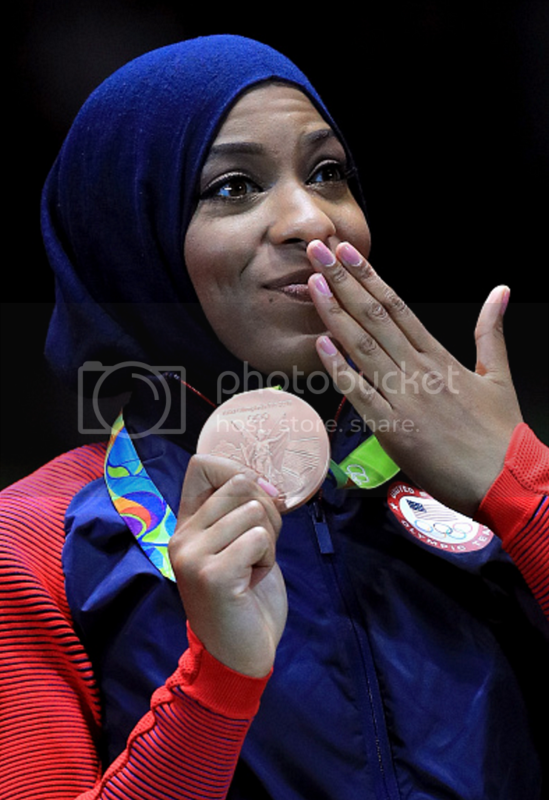 Ibtihaj Muhammad made history on Saturday as the first Muslim woman from the United States to win an Olympic medal in hijab. 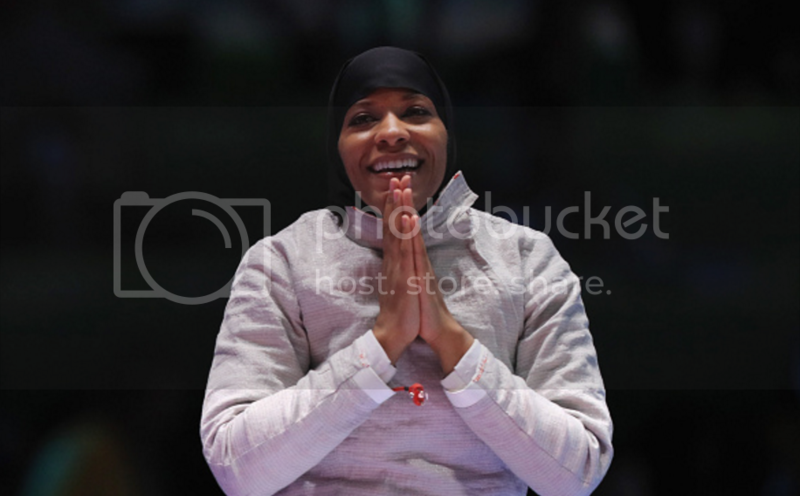 30-year-old Muhammad won bronze in women's team sabre with teammates Dagmara Wozniak, Mariel Zagunis and Monica Aksamit. The U.S. women's fencing team last won a medal in 2008 at the Beijing Games. Muhammad graduated from Duke University where she studied African American Studies and International Relations. There she was a three-time All-American. The Maplewood, New Jersey-native initially took up fencing because it allowed her an outlet for her athleticism while remaining modes. She takes pride in offering an alternative representation of Muslim women. She was one member of a remarkably diverse U.S. fencing team which feature a handful of Black fencers.